BlockShow Europe 2017 will take place in Alte Kongresshalle, Munich. The conference is going to become the major international event for showcasing established Blockchain solutions. Blockchain is hailed as one of the most revolutionary technologies of the past few decades. In this year, the industry has experienced an intense influx of investment – the volume of funds invested in Blockchain startups has exceeded $1B, and two largest VC deals of this year were also Blockchain-related. In addition to that, the technology has managed to receive public recognition from such global giants as Visa, PayPal and Mastercard. This state of affairs has formed a favorable environment for startups, and a real boom followed as a result: the number of young Blockchain companies has grown fourfold over the past year. 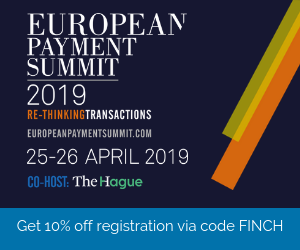 Becoming more and more accepted worldwide, “the biggest innovation after the Internet itself” is receiving a growing number of various practical implementations and taking over the markets – both within and outside the financial sector. That is why the main goal of BlockShow Europe 2017 is to become the major international platform for showcasing the most disruptive Blockchain use cases in all their multiplicity. However, none of the Blockchain projects exists in a vacuum – there is a wide range of various external factors considerably influencing the whole industry, and this cannot be ignored. That is why BlockShow Europe 2017 will be opened by a talk about the current state of Blockchain, and the further conference programme will include talks and panel discussions on such topics as “Overcoming the challenges of Blockchain implementation”, “Blockchain Ecosystem from Banks & Enterprises perspective”, “Security on Blockchain” and other. As for the direct objective of BlockShow Europe 2017, a large-scale comprehensive presentation of the existing revolutionary Blockchain projects will be set out in two parts. In addition, the conference will provide startups with opportunity to compete with each other for the title of The Best Blockchain Startup 2017 in a competition which will be hosted by Blockchain Angels. Among the conference speakers will be prominent experts and practitioners of the global Blockchain industry, such as Ned Scott (CEO & Co-founder at Steemit), Adam Stradling (Bitcoin & Blockchain pioneer, co-founder of Bitcoin.com), Ismail Malik (CEO Blockchain Lab, founder of SmartLedger), Bernd Lapp (Advisor at Ethereum Foundation), Jamie Burke (Founder of Blockchain Angels), Matej Michalko (Founder & CEO at DECENT), and Bruce Pon (CEO & Co-Founder at BigchainDB). 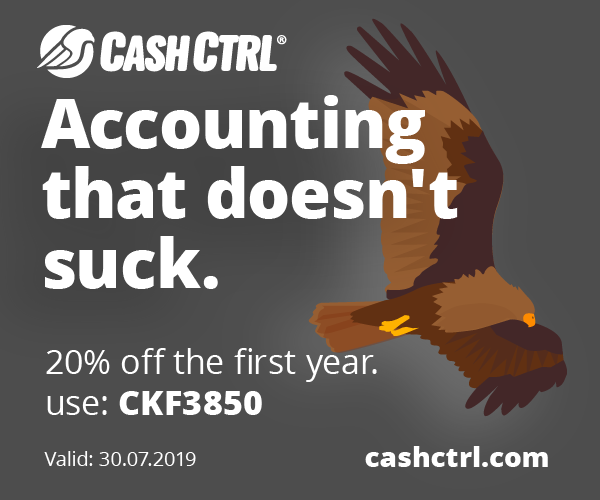 This non-exhaustive list is about to expand – so watch for updates! 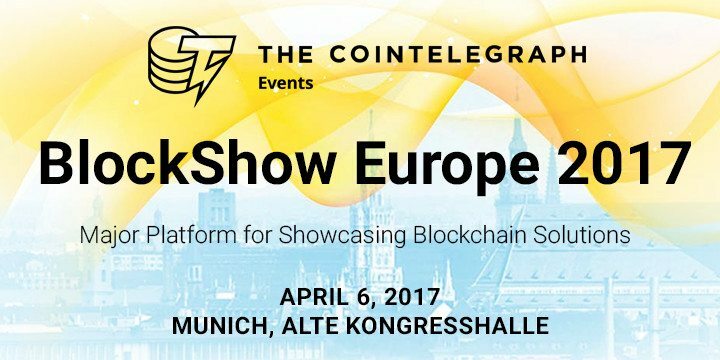 BlockShow Europe 2017 is organized by the popular Bitcoin & Blockchain media outlet CoinTelegraph in partnership with Zurich-based Blockchain platform Nexussquared and Blockchain payment processor BlockPay. The upcoming event won’t be the first one for CoinTelegraph – in August this year, the company has already held Helsinki Blockchain Conference 2016, the first high-profile Blockchain-dedicated event in Nordic, which attracted massive attention from the regional Blockchain community. Starting this week, the registration for BlockShow Europe 2017 is officially open. Get to know more at the official BlockShow Europe website! 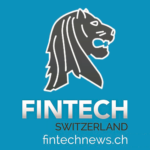 Please note that there is a unique offer available exclusively for Fintech News Switzerland community – use a discount code FNSMUNICH to get 30% off all tickets when registering on the BlockShow Europe Eventbrite page.